As some of you may remember from the first installment I fell in love with a daffodil last year named Young Love. She was a mail order bride. I was seduced by the photos of her pearly perianth and frilly pink corona. 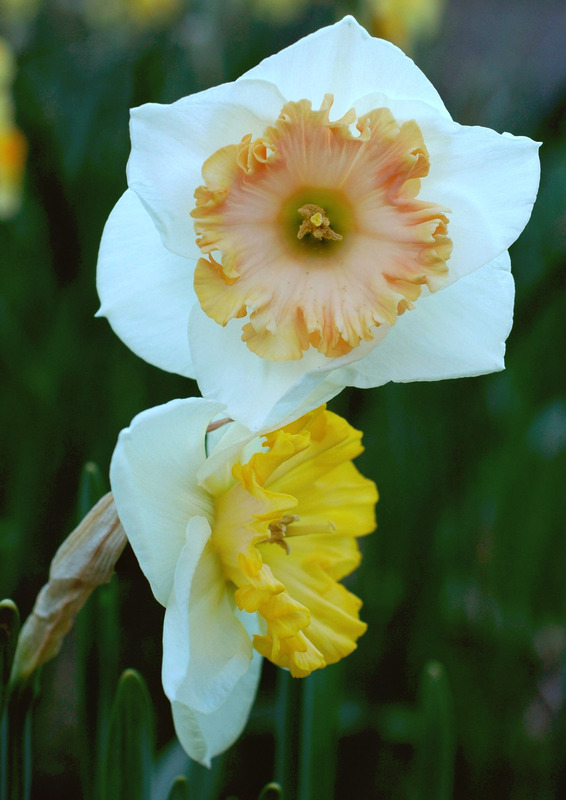 Young love bloomed this April among many other new, and mostly lovely, narcissus varieties. I have to say that she wasn’t as pink as I had dared to hope, though at the same time knew better than to expect; and so it seems to go with pink daffodils in general. But then we don’t always get what is advertised or what we expected through our lustful, advertisement colored, fevered imaginations. Sometimes that may be just as well and what we do get may be as much or more valuable. Young Love did put on a lovely show and, along with all the other Grant Mitsch hybrids, had an excellent, heavy and even almost fleshy substance. 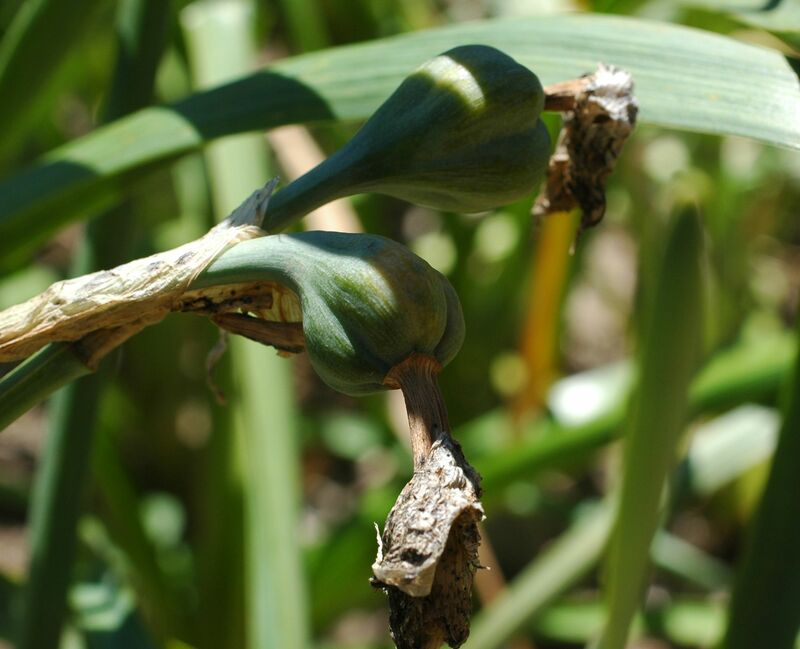 When the first of them bloomed (integer) I was compelled to put its superior genes to use somehow and I went about crossing it with other early daffodils blooming at the time. Many mornings from that day through the bloom season I was to be found for a few minutes in mid morning snipping out stamens crusted with pollen from one flower and carrying them around with a pair of tweezers to dabble onto the female parts of another. I crossed whatever I liked the looks of without even looking up whether the varieties I was using were sterile, or virile, or made particularly good parents. Some didn’t fertilize at all but many, no most, did.